Another award that attracted a wide range of nominations. Among the GT ranks the triple championship winning Ferrari 550 Maranello found fans, together with the Corvette C5-R - GLPK and SRT’s efforts attracting admiring glances. Third place here goes to the new for 2006, and very beautiful, Aston Martin DBR9, its looks, sounds and performance whetting the appetite for glories surely to come for the revival of a famous racing marque. Second place went to one of the oldest cars in the field – still winning races, and big ones at that, a fifth Le Mans 24 Hours in six years and an exciting win in the Silverstone 1000kms too, despite power sapping restrictors and ballast – the evergreen and legendary Audi R8. The winner though is one of the pretenders to the Audi’s throne. Searing pace and now reliability too. A race win at Spa and a fabulous win from the back of the grid at the Nurburgring for the factory run car, plus real speed too from the Team Jota car. A very honourable mention here too for the ‘prototype’ Creation DBA. 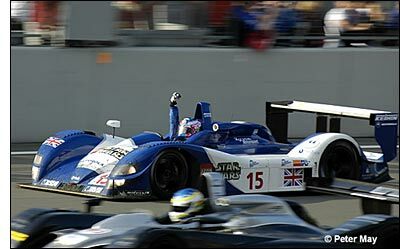 dailysportscar.com’s 2005 European Car of the Year is the Zytek 04S.